Roses are pretty, chocolate is sweet and caviar is the valentines day gift that no one has too much. For a romantic evening with your Valentine, start with your private caviar service in the comfort of your own home. No crowds and no being rushed while you enjoy each other and your Valentines Day caviar experience. Lady Elena Caviar offers the White Sturgeon Caviar Gift Set. All you need to enjoy your caviar. 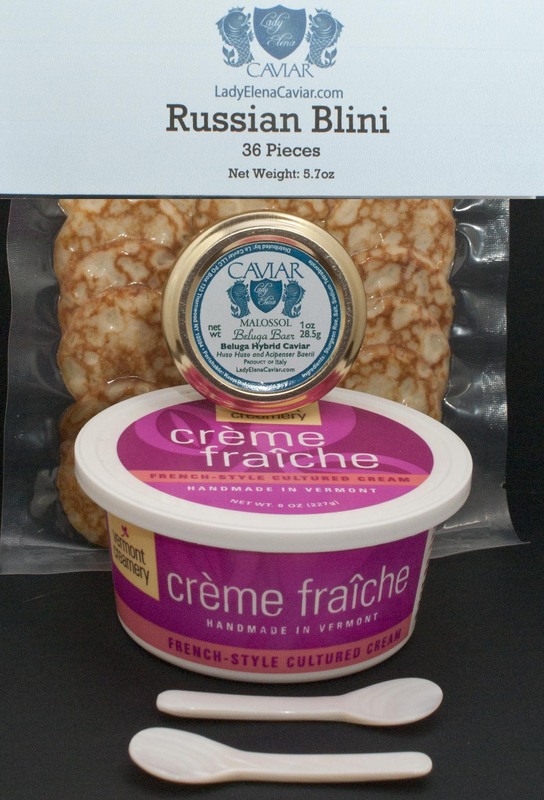 A caviar gift is ideal for your foodie. Lady Elena Caviar has A Beluga Caviar Service Gift Set for you. this serves 1 to 2 persons. This gift set contains 1 one ounce jar of Beluga Hybrid Caviar with a 36 pack of Russian Blini, a container of Creme Fraiche and two Mother of Pearl Spoons. 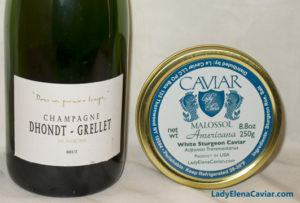 All you need to enjoy delicious caviar. Click here for more information on this ideal gift for your Foodie.